Hello ACT followers, supporters and alumni!! We trust you had a productive first quarter of the year! We here at ACT have been very busy. Firstly, we have some great news! The applications for the 2017 ACT Entrepreneurship Program are now open. The deadline for applying is the 4th of June 2017. The application comprises of 4 sections and you have the ability to save your application and continue when it is convenient for you. For more information please visit our website on www.actinafrica.com or go directly to our application portal. Once applications have been reviewed, shortlisted applicants will be invited for face to face or Skype interviews. The selected applicants will kickoff the program on the 3rd of July for a 3 week action-packed, hands-on, intense, and life changing experience. 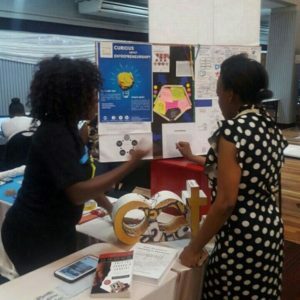 Oh, and did we mention that this year we will be collaborating with one of Zimbabwe’s leading public companies to enable our students to apply their design thinking skills in a real business environment? That’s right, over the course of the second week of the program, our students will be embedded in the operations of our corporate partner and will exercise their design thinking skills to solve some real challenges. How exciting is that? Where else could you get that kind of experience? “9 out of 10 businesses fail, so I came up with a foolproof plan- come up with 10 businesses” ~ Robert Kiyosaki. 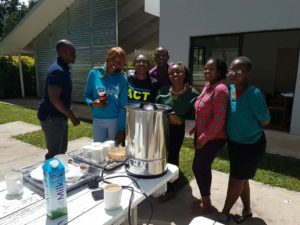 Tech village hosted its first ever annual TechFest in Bulawayo from the 27th of February, to the 5th of March. 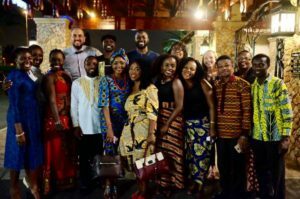 The festival, which ran under the theme ‘Collaborative Brilliance’, was a weeklong event, and saw many people attending from across the country, and a few from different parts of the region. The week was abuzz with activity, from the Rainbow group community hack on the very first day, to the overnight hacks, seminars and innovation boulevards. Our team was invited to help facilitate the different programs, and also co-host various workshops. On day 3, The ACT team hosted a prototyping competition at The Innovation Boulevard, which proved to be a crowd favourite! We also participated in the overnight hackathon (no it was not because of the free food, we can go H.A.M on the nerdiness too), and we won! Our team created a model built around a “disaster aversion virtual reality simulated environment”. Sounds complex right? Well basically, we used 3D goggles to simulate extreme weather conditions and then instructed our clients how to survive and save themselves! Another fine example of how we can COLLABORATE to come up with BRILLIANT ideas! 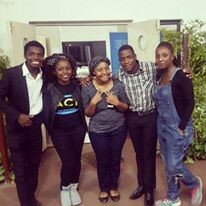 ACT/ ANZISHA BUILD A BUSINESS DAY! On Saturday the 11th of March we hosted 24 young and aspiring entrepreneurs for a one day hackathon in preparation for the Anzisha Prize. The participants, from all around Zimbabwe, had to build viable, solution-driven business models around 3 themes: Waste Management, Education and Road Transportation. At the end of the day, the 8 teams that presented had an array of ideas; from pothole filling systems, and waste water treatment facilities, to ICT and art vocational centres. However, it was Reysh Alef that stole the limelight in the end. The team developed their business concept around creating art work from recycled waste material, and market these pieces in the Tourism sector. Part of the proceeds from this project would then be channeled towards creating science kits from recycled material for primary school kids. Besides being innovative, this team showed us that they were resourceful and creative, because they decided they could use what was not wanted anymore to create something of value. Moreover, they understood the idea of what lies at the core of social impact, which is, taking strides to make meaningful changes within the community. Their idea was truly reflective of this, accompanied with their great team work! Next up, the team visited The African Leadership Academy in South Africa, for an Educator workshop on the Foundations of Entrepreneurial Leadership (EL). ALA has designed a study curriculum for youths to bridge the gap between the conventional study methods in schools and entrepreneurship. The EL curriculum in itself is comprised of a continuous development process rooted in the belief that the emergence of the next generation of African Entrepreneurs lies heavily on them being self-aware, their relationships with others within the community and their collective effort to develop solutions for their community and Africa as a whole. The main objective of the workshop was to bring leaders and Educators from across the region, and equip them with skills to introduce Entrepreneurship and leadership core courses into the community. We learnt through DOING, mostly through games and challenges, and were thrilled to see that the ALA applied an interactive teaching methodology with focus being on individual progression, instead of merit based achievement. Lest I forget to mention, we were also fortunate enough to meet a diverse, hardworking and driven group of educators from all around the world who made the week all the more interesting and worthwhile! An introduction to Intellectual Property and its branches. How global companies and startups are leveraging on I.P. Alumni learned how to identify, track and leverage I.P in their various startups, and were able to discuss their own IP challenges with the facilitators. What a month! Now, for some Entrepreneurial Inspiration, we will look back at one of our Trending March Global leaders……. March was a pretty exciting month for a lot of companies on the global front. One such example, which was one of our favourite trending stories, was that of how AirBnB raised 1 Billion dollars with a 31 Billion dollar valuation. I know what you thinking, another Unicorn story that does not relate to you right? Well, let us zoom in a bit and see what The AirBnB founder had to say about starting up! So the general idea in entrepreneurship = Startup 101: You just need 1) a great idea, 2) money, 3) marketing, right? Just ask Brian Chesky, Billionaire CEO & Co-founder of AirBnB, who will tell you… err… the exact opposite. #1: To get started, you DON’T need a great idea. You just need customers who are happy to pay you to solve their problem. In 2008, Brian and Joe tried to raise funding, but no one was interested. So they decided the best way to raise money was through their customers – and if their customers weren’t buying what they were selling, they’d just change the product. “We hand folded 1,000 boxes of cereal, numbered each one, and sold them at $40 a box. We sold $30,000 worth of cereal and this is how we funded the company and came up with the phrase “be a serial entrepreneur”. #2: To get going, you DON’T need money from investors. You need cash generating products to keep you going. Once they had their first 100 raving fans, AirBnB grew rapidly through word-of-mouth, and from those first 100, they multiplied by x100 to 10,000, and again by x100 to 1,000,000. Today, AirBnB has over 1,500,000 listings in 34,000 cities, and as of this month (when they just raised $1.5 billion), AirBnB is worth $25.5 billion, and Brian is worth over $3 billion. #3: To grow, you DON’T need clever marketing. You need customers who love you, and who happily recommend their friends, who then love you too. What can you do to unlearn the lessons we’ve been taught to build an industrial age business where the factory is king, and re-learn the new lessons to grow an information age business where the customer is king and queen? Focusing 100% on the customer also keeps you from getting distracted on the wrong thing. Following these three steps won’t necessarily make you a serial (or cereal) billionaire, but they will definitely help you get started faster, get going smarter, with less stress and more fun. As we get into the application period, take a moment to reflect. Do you really want to become an entrepreneur, with all the sacrifices this entails ? Are you open-minded enough to admit that maybe your initial business idea will not work and brave enough to move on to your second idea ? Remember that each success is built on a series of smaller successes (and some failures), so perhaps set a few Specific, Measurable, Achievable, Realistic and Time-sensitive (S.M.A.R.T) goals for yourself for the next couple of weeks. The success of your Startup will be as a result of a collective number of these goals. Most importantly get your application in for the 2017 ACT Entrepreneurship Program! ← What’s in store for 2017…..